The Yucatan Peninsula is known for its sunny beaches and breathtaking anthropology sites. Millions of visitors find their way here for relaxing vacations from around the globe. Many are surprised to learn that there is a lot more to the region than sunny beaches and archeology tours. More than four million people live in the three states that make up the peninsula- Yucatan, Campeche and Quintana Roo. Yucatan alone has nearly two million residents. The region has a vibrant economy that is growing stronger every year. Opportunities abound for those interested in a strong return on investment here. There is established infrastructure, a competent workforce, top-notch amenities as well as strong population growth in the region that make it extremely attractive for start-up businesses of all sizes as well as investment. If you are interested in our take on the local economy read on. For a complete listing of articles in a series we are calling, “Investment: Yucatan, Mexico” click here. The reports from English-language news outlets have been less than kind to Mexico in the past few years. We understand. There have been serious problems with violence and organized crime in the northern part of the country for the past few years. The savvy consumer of news, we hope, has been able to balance the sensationalized coverage of the drug war with the facts behind the news stories. If you are one of the “savvy” consumers we are talking about, you likely note the geographic difference between the Yucatan Peninsula and those states with the most violence. We are thousands of miles away from the heart of the violence- namely the states that border the United States. Let’s look at the data for our home state- Yucatan. Reports show that Yucatan is equally as safe as many places in North America. According to a report from The Guardian, Yucatan has a lower homicide rate than Canada. Another report from USA Today highlights that Yucatan had a murder rate of just 2 per 100,000 residents in 2010. This puts Yucatan on par with the US states of Wyoming and Montana in terms of safety. We feel the state an extremely safe place to live do business. We do every day. So why is Yucatan a place worth investing in? There are many reasons. The first is simple geography. 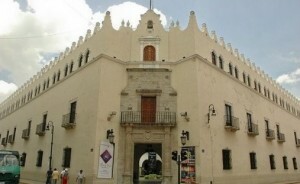 Merida, the capital of Yucatan, is the cultural, economic and educational center for the entire southeastern region of Mexico. People travel hundreds of kilometers from the states of Chiapas, Tabasco, Campeche and Quintana Roo to study at the best regional universities, receive the best medical care and initiate business transactions here. The concentration of universities here produces top talent for local industry. Autonomous University of Yucatan (UADY), Technological Institute of Merida, Mayab University and Marista University (just to name a few) draw students from all over the region. Top medical schools produce doctors of all specializations that support a system of top hospitals including Star Medica Merida- the only hospital in the region selected by the White House medical team to treat the president in cases of emergency. 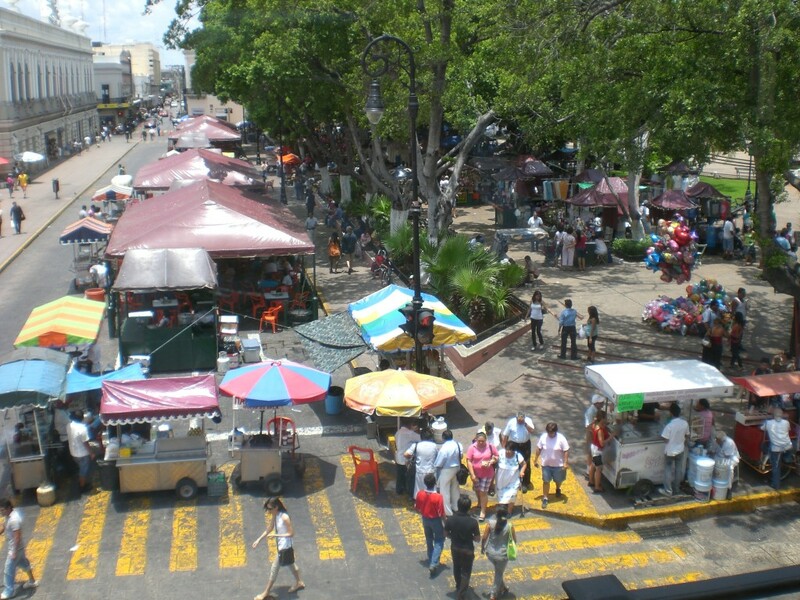 In addition Yucatan’s human capital, its location makes transportation of people, goods and services easy and economical. The Yucatan has over 6,000 kilometers of paved highways that connect it with neighboring states and the center of the country. The city of Cancun and its airport are about a four hour drive from the capital via a state-of-the-art toll road. The region is also connected by air via Merida International Airport- servicing over a million passengers each year. The city of Progreso, about 30 kilometers north of Merida, is the third most important commercial port in the country and the most important port in the region. The terminal for the port is located on one of the world’s longest piers (about four miles long) and services commercial shipping lines as well as cruise ships as a port of call. The port is connected to the rest of the state by an eight-lane highway and the region’s railroad system that boasts over 600 kilometers of track. 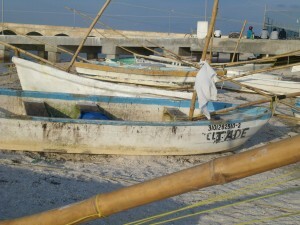 Fishing boats rest in the afternoon sun next to the famous pier in Progreso, Yucatan, Mexico. In addition to transportation infrastructure, the region around Merida has five industrial parks with the electricity and communication infrastructure modern organizations require to be successful. Yucatan already has growing development in the aerospace, IT, agro-industrial and automotive industries. In addition, mainstay manufacturing in the furniture and jewelry sectors have developed a highly skilled workforce of artisans. The food and beverage industry has local production from renowned companies like Coca Cola, Bimbo, Donde and Gamesa- just to name a few. Textile manufacturing has been extremely strong in the region over the years. About 40 percent of the region’s exports are textiles and apparel. State government data suggests that as many as 20,000 people are employed in this industry. Textile manufacturing is so important to the local economy that academic institutions in the area have signed agreements with the National Chamber of the Clothing in Yucatan to develop skills in new technologies and create further educational opportunities for employees in this sector. We have more to say about this topic! Click here to read the second of two articles introducing this new feature section here on YCC Magazine! Please let us know what you think about investing in this region. Do you agree that this is a good time to start a business here? What are some other reasons that Yucatan is a great place to live and work?